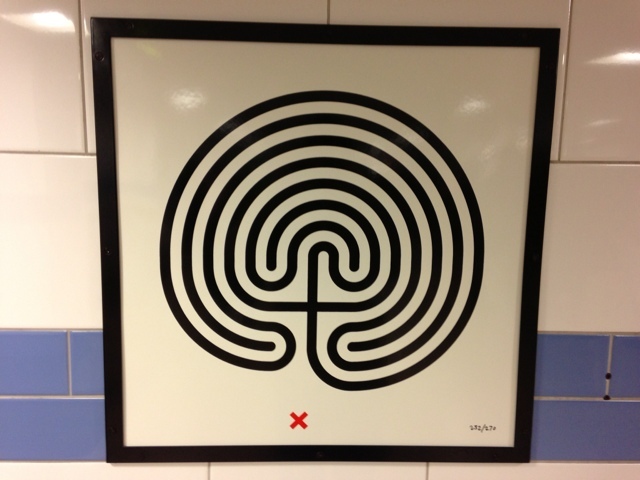 As part of London Underground's 150 year celebrations 270 unique works of art have been created by Turner Prize winning artist Mark Wallinger. On the theme of Labyrinth each one is a sort of maze. However if you follow the line from the start to the finish you always end up n the centre - where you want to go. Neat. Below is the one at Green Park tube station.